Valid from 27 APR-3 MAY 2015! Taste The Profits e.g. NEW Cadburys Puddles PM £1 18x90g, VAS £10.49, Cadburys Twirl/Flake 48xSTD £15.49! Don't Miss Out! GOOD FOOD, GOOD LIFE, GREAT PRICES! 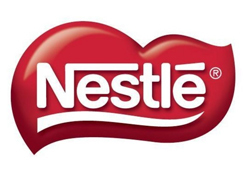 NESTLE - Exclusive Supplier Week Starts Today 13th until 19th April 2015! Offers Include... Kit Kat 4 Finger 48xSTD £11.99, Carnation Evaporated Milk PM 99p 12x410g £6.49, So Don\\\'t Miss Out!